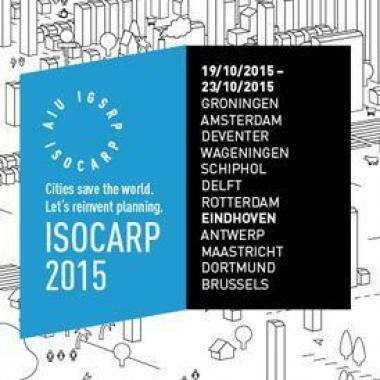 2015-07-14 – To mark its 50th anniversary, the International Society of City and Regional Planners, ISOCARP, is holding its annual World Congress from 19 to 23 October 2015 in 12 cities in three countries of north-west Europe: Belgium, the Netherlands and Germany. The final session will be held in Rotterdam. The Brussels-Capital Region is a partner of this World Congress, which aims to discuss the main issues that are fundamental to the future of cities and the world. In particular, the idea is to provide input for the work in progress at European level on the development of an Urban Agenda, and at global level on the preparation of the third United Nations Conference on urban development (Habitat III) in October 2016. The Urban Development Agency (ADT-ATO) is coordinating and organising the Brussels part of this International Congress: the workshop ‘how to reconcile local expectations with strong international challenges when renewing a city’. 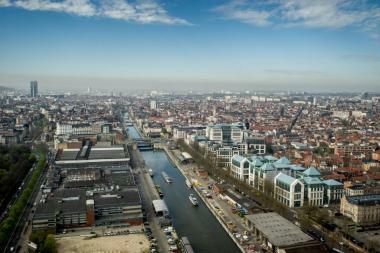 The workshop, held at various locations on 19 and 20 October 2015, will shine the spotlight on the initiatives being carried out in Brussels’ Canal Area. Brussels’ participation is taking place in collaboration with the two Belgian associations of urban planners – the Chambre des Urbanistes de Belgique (CUB)and the Vlaamse Vereniging voor Ruimte en Planning (VRP) –, the Urban Renewal Directorate of Brussels Urban Development (BDU-DRU), the Chief Architect of Brussels (bMa) and various academics. The Brussels seminar is supported by the Brussels-Capital Region and the European Union via the 2007-2013 programme of the European Regional Development Fund (ERDF). 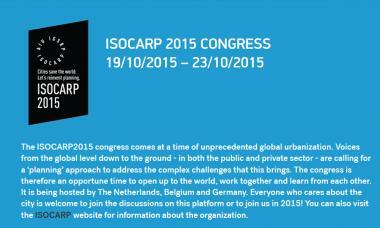 You can register to attend the Congress exclusively via ISOCARP’s Internet platform: http://isocarp.org/activities/isocarp-annual-world-congress-2/registration-51st-isocarp-congress/. A discount will apply to registrations completed by 31/07/2015.